“FOLD, Art, Metaphor, and Practice,” plays on several layers of meaning, including philosophical, psychological and historical. 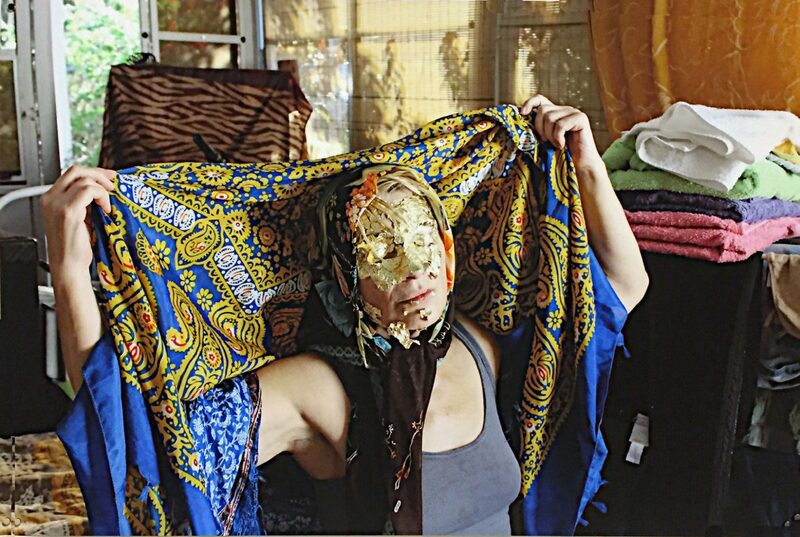 Curated by Raheleh Filsoofi, assistant professor of Art at UTRGV, Exhibition 1 is one of three exhibitions that are part of the University of Texas Rio Grande Valley’s 2018 FESTIBA festival. 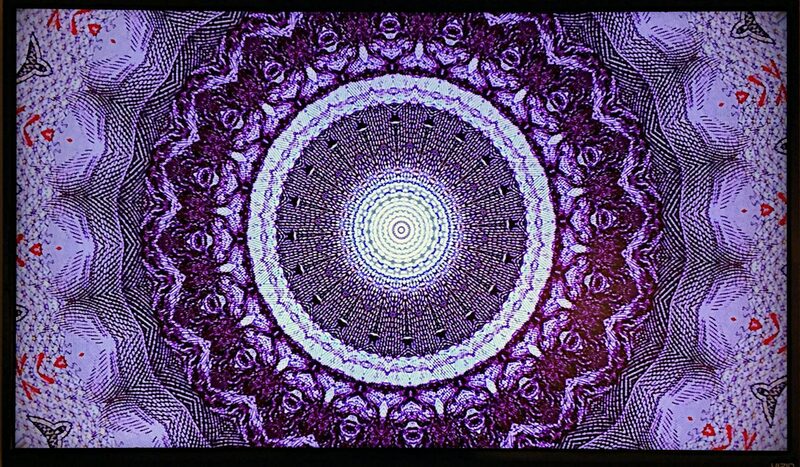 “FOLD” was inspired by philosopher Gilles Deleuze’s book, “The Fold,” where fold as a concept is theorized as simple and complex at the same time: it is a physical act, a state of material, and a way to explain things that happen in other realms. Filsoofi said she believes that art can make tangible this 18th century Baroque concept through art and interdisciplinary events. The initial art exhibition at IMAS includes works by Giannina Coppiano Dwin, Sibel Kocabasi, Anja Marais and Laleh Mehran. "Last Sanctuary" by Sibel Kocabasi. "Like the Ocean" by Giannina Coppiano. "Objects are Closer than They Appear #5" by Sibel Kocabasi. "Dominant Policy" by Laleh Mehran. "Up-flight of the Wingless Bird" by Anja Marais. 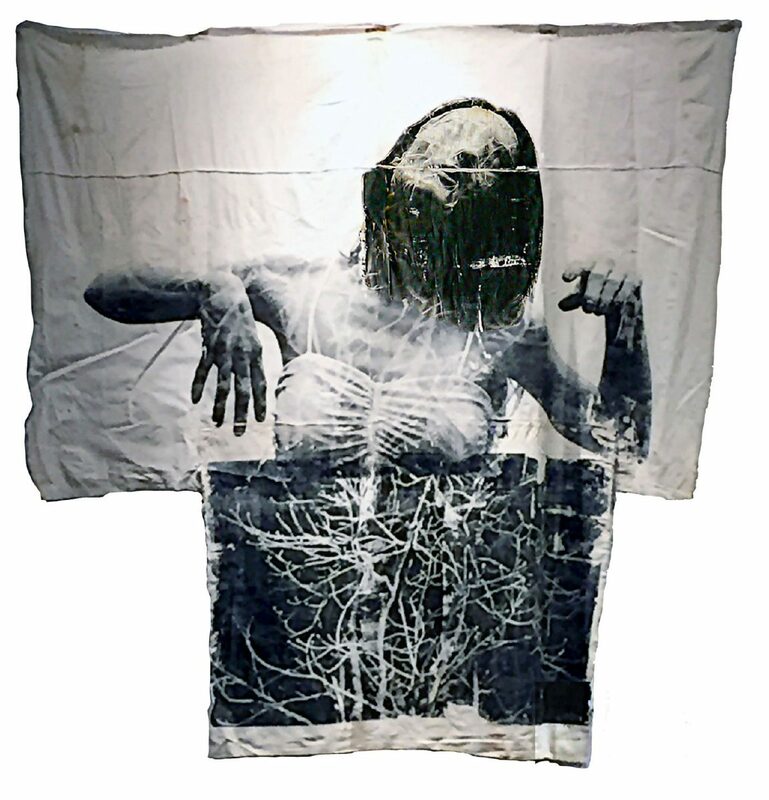 Dwin, Kocabasi, and Marais deal with seen and unseen aspects of the human condition. The signature work of the show is Dwin’s “Like the Ocean,” a striking 24-foot floor piece created from poured salt, expressing the transient nature of life. It depicts the temporary beauty intrinsic to the human condition, yet vulnerable to the inevitable and unkind passage of time. We might also consider the concept of Vanitas and transformation here. 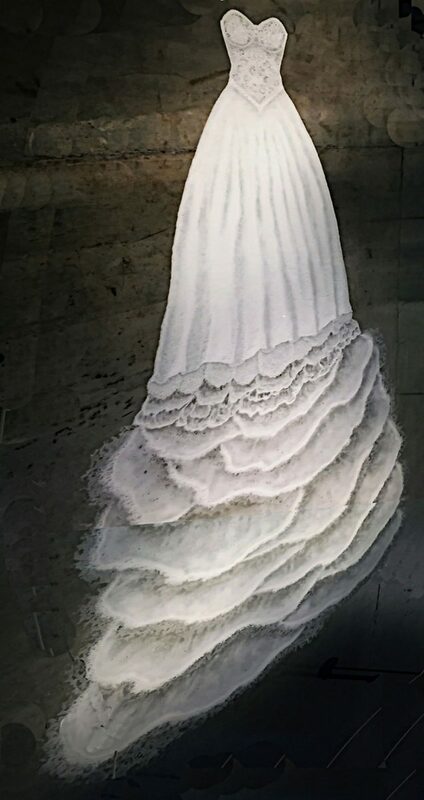 The intricate patterns and tones achieved from pouring and pushing the salt along the dark floor to form the image of a woman’s lacy white gown are continuously eroding. On a nearby wall, Kocabasi’s series of photographs speak of feminine concealment in harsh religious, linguistic, and racial climates, but ultimately reveal identity. 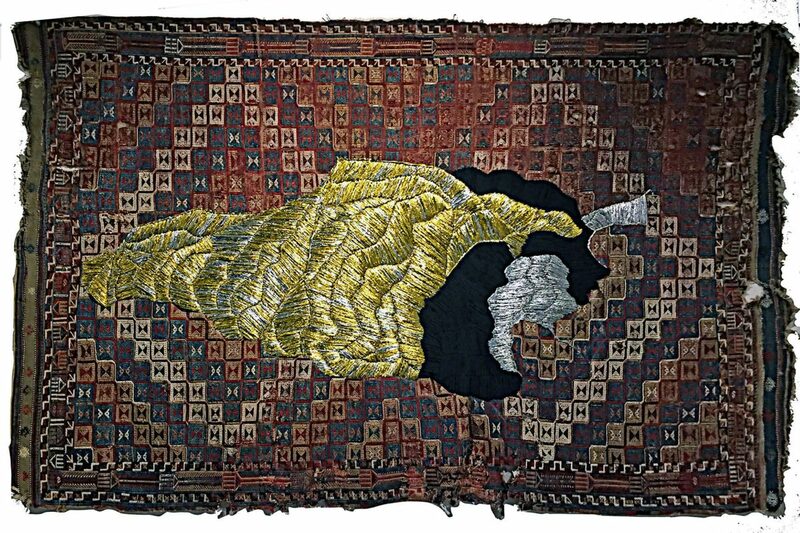 Her “Last Sanctuary,” a large work of synthetic gold and silver survival blankets upon an antique Turkish rug, clutches concealment. The smooth expressive styles espoused by Kocabasi contrast abruptly with Marais’ in-your-face imagery and technique. The powerful work, “Up Flight of the Wingless Bird,” predicts the ultimate transformation. The feminine image, slightly larger than life, rises up above a panel suggesting a nervous system, bone structure, or maybe brambles, into a figurative form. Continuing this path, a light from above changes the physical features into a deadly visage. 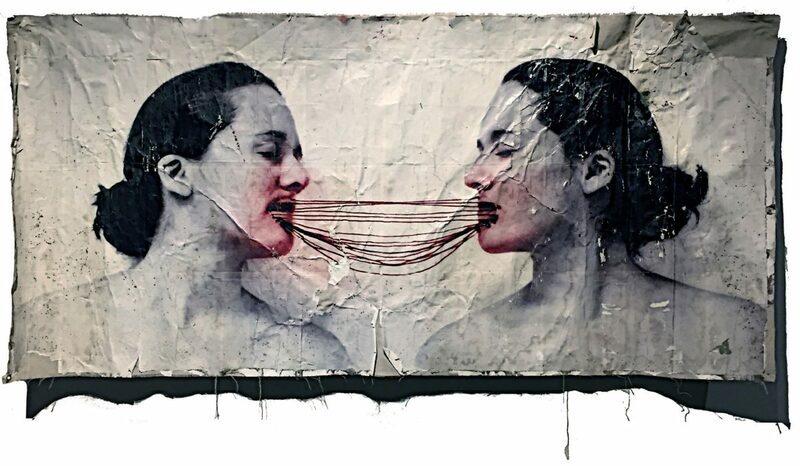 Unlike the other artists, Mehran does not directly address human concerns. Instead, her digital imagery looks at humanity through a larger lens: economic and graphic history abstracted through monetary currency. “Dominant Policy” is a brilliant video taking the viewer into the folds and layers of various undefined eras through currency. Based on the kaleidoscope concept, monetary designs fold over onto each other, suggesting the rise and fall of political regimes and currency re-valuation. The effect is mesmerizing and beautiful. “FOLD” brings a fresh artistic energy into this area and deserves to be seen. Exhibition 2 is currently on display at the Visual Art Gallery at UTRGV, and the opening reception for Exhibition 3 will be held Feb. 27 at the UTRGV Visitors Center. Hours: 9 a.m. to 3 p.m. Tuesday to Thursday; 9 a.m. to 5 p.m. Friday; 10 a.m. to 5 p.m. Saturday; 1 to 5 p.m. Sunday; 9 a.m. to 8 p.m. on first Thursdays of the month.